Wilmslow High School is committed to raising standards of achievement across all areas of activity and for all students across the ability range through the promotion of Physical Education, Sport and healthy lifestyles. All students are of equal value and the concept of personalised learning through challenging and engaging activities is fundamental to our ethos. We work in partnership with the local community to promote inclusion and overcome disadvantage by guaranteeing access to extensive opportunities for all to participate in physical activity and community sport. Our Physical Education curriculum is reinforced by a large number of out of school hours learning programme that we refer to as “Sport Xtra”. This programme includes a full range of competitive sports such as rugby, netball, football, hockey, cricket, tennis, trampolining and athletics. We are rightly proud of the progress made over the last few years not only in providing an outstanding level of opportunity for students of all abilities to experience an activity of their choice, but also producing teams and individual performers who can be successful at district and national levels. 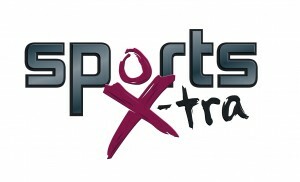 Our Sports Xtra programme aims to provide something for everyone, regardless of ability. Cheerleading, Gymnastics, and “Active 1” club all prove extremely popular with students, while many students take advantage of our Fitness Suite throughout the week to work on their personal fitness.